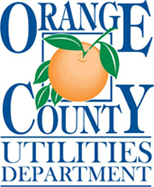 Orange County, FL – Orange County Utilities invites residents to its 2015 Orange County Recycles Day festivities, an event that brings local communities together to promote the benefits and importance of recycling. The event will take place on Saturday, November 14, from 10 a.m. to 2 p.m. at the Orange County Landfill located at 12100 Young Pine Road, Orlando, FL 32829. The event is free to attend. Participants will have an opportunity to take part in tours of the landfill and enjoy family-friendly entertainment. Heavy equipment, including a dump truck, loader, and grader will also be on display. Additionally, exhibits will be available for residents to learn more about recycling and other environmental issues in the community. Attendees will have the opportunity to donate items to Goodwill of Central Florida and ATRS, and take advantage of complimentary secure document destruction. Attendees will learn how using their resources more wisely can make their community more livable, businesses more competitive, and Orange County a healthier place for future generations to enjoy! For more information, residents can call the Orange County Utilities Solid Waste Hotline at 407-836-6601, visit us online at Orange County Recycles Day, or send an email to Solid.Waste@ocfl.net. About America Recycles Day: America Recycles Day is a national program of Keep America Beautiful, and is the only nationally-recognized day and community-driven awareness event dedicated to promoting and celebrating recycling in the U.S. Since its inception in 1997, communities across the country have participated in America Recycles Day on Nov. 15 to educate, promote environmental citizenship, and encourage action. To learn more, visit AmericaRecyclesDay.org.